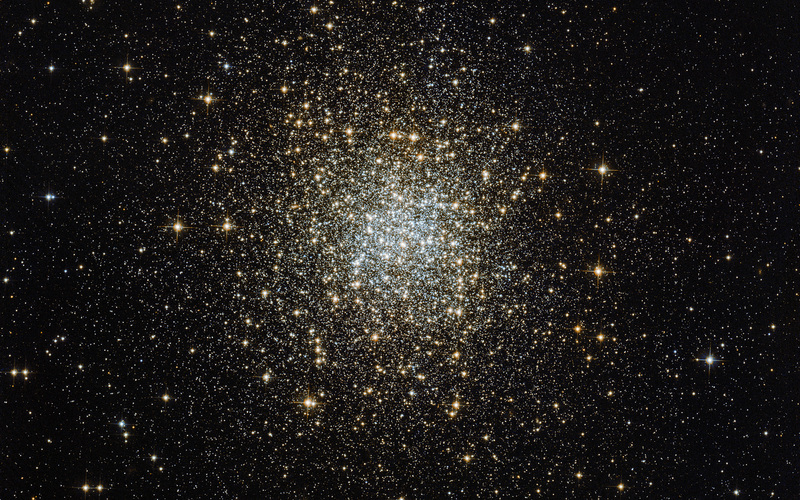 Palomar 2 is part of a group of 15 globulars known as the Palomar clusters. 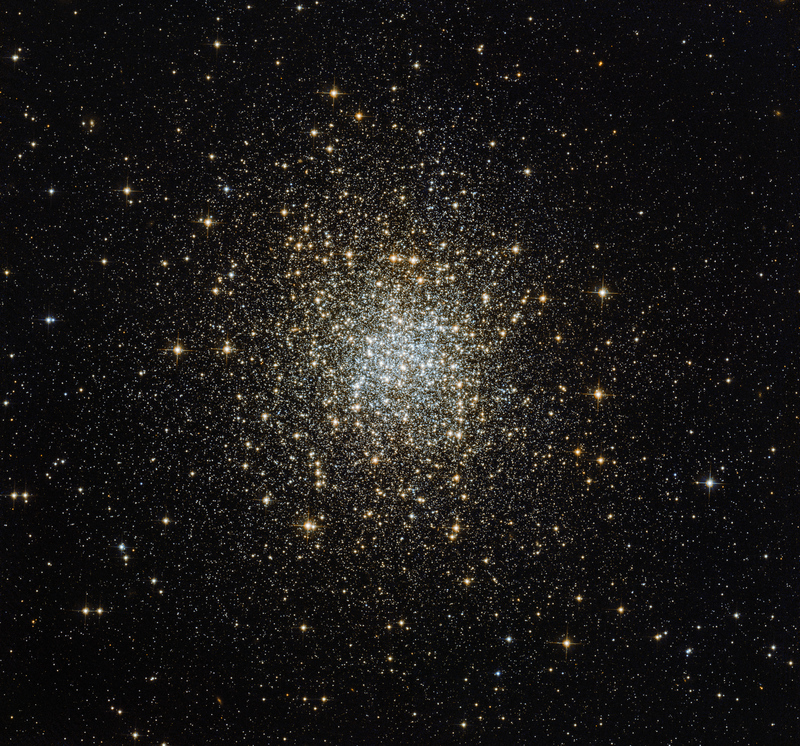 These clusters, as the name suggests, were discovered in survey plates from the first Palomar Observatory Sky Survey in the 1950s, a project that involved some of the most well-known astronomers of the day, including Edwin Hubble. They were discovered quite late because they are so faint — each is either extremely remote, very heavily hidden behind blankets of dust, or has a very small number of remaining stars. This particular cluster is unique in more than one way. For one, it is the only globular cluster that we see in this part of the sky, the northern constellation of Auriga (The Charioteer). 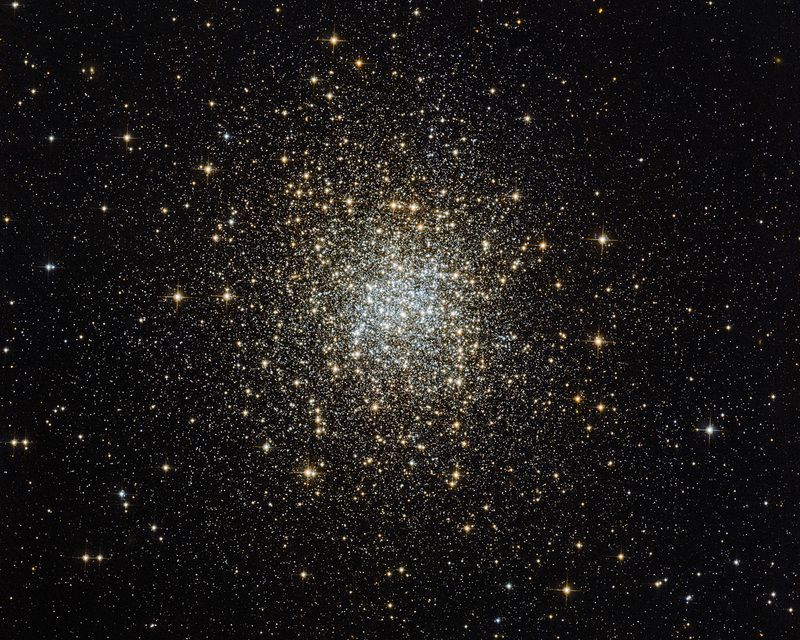 Globular clusters orbit the centre of a galaxy like the Milky Way in the same way that satellites circle around the Earth. This means that they normally lie closer in to the galactic centre than we do, and so we almost always see them in the same region of the sky. 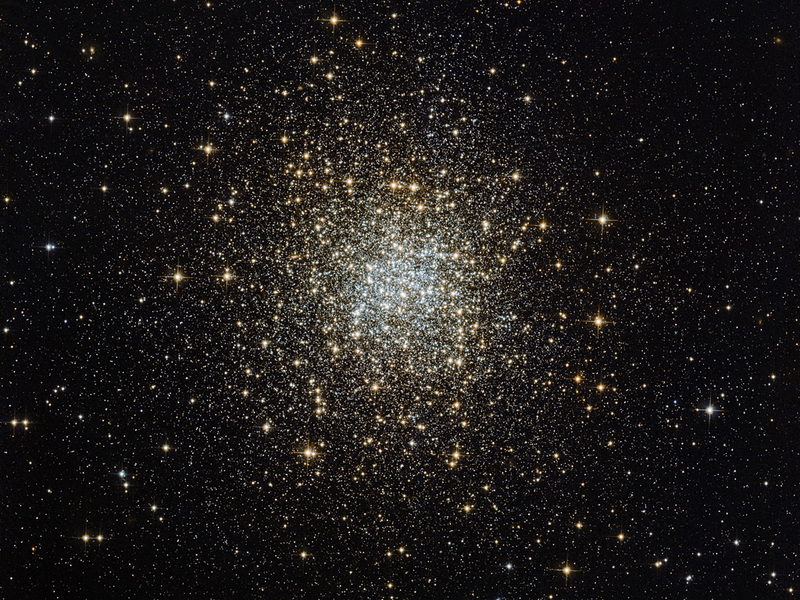 Palomar 2 is an exception to this, as it is around five times further away from the centre of the Milky Way than other clusters. It also lies in the opposite direction — further out than Earth — and so it is classed as an “outer halo” globular. Position (Dec): 31° 22' 52.16"